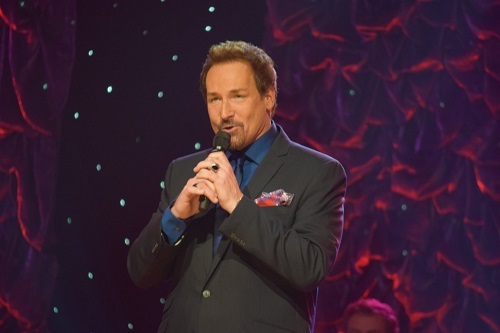 Nashville, Tenn (April 30, 2015) Grammy and Dove Award winning Michael English hosted the Southern Gospel Music Guild’s 2015 Harmony Honors. 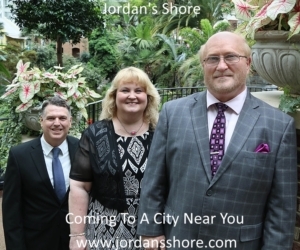 It was a star studded Who’s Who of Gospel singing which was highlighted by exciting performances by The Browders, The Isaacs, and Three Bridges. Three Bridges opened with the Dottie Rambo hit recorded by many artists including the soundtrack to the ‘Preachers Wife’ recorded by the late Whitney Houston, “I Go To The Rock”. Bringing the crowd to their feet they got the evening off to a feverish start. 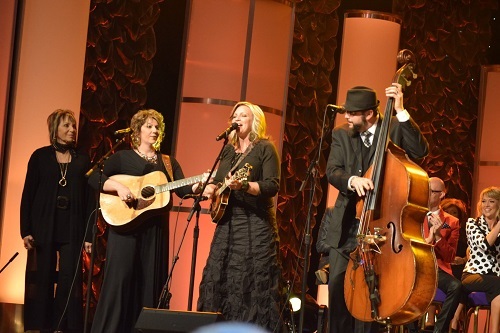 The Isaacs performed Dottie’s song “He Ain’t Never Done Me Nothin’ But Good” and were joined on stage by Rambo McGuire setting the crowd on fire once again. They later performed another Rambo song which has been a huge hit for them. “Mama’s Teaching Angles How To Sing”. The Browders, not to be outdone added their vibrant energy to the Rambo classic “I’ve Never Been This Homesick Before”. Once again the crowd received this song with worship and excitement. 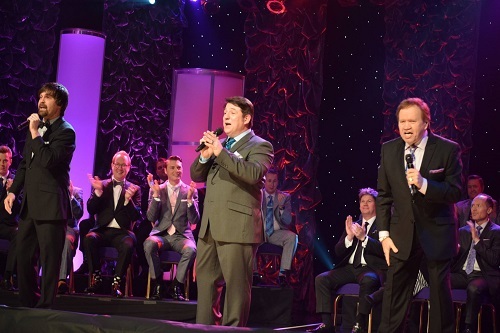 Michael English sang Rusty Goodman’s very popular “Who Am I?” to an exuberant crowd with hands raised and worshipful praise going on. He also told of how Rusty Goodman introduced him to his signature song, and how he didn’t like it when he heard it. But, Michael recorded the song with the Goodmans and the rest is history. That song is “I Bowed On My Knees And Cried Holy”. That was a perfect way to close out the program. To Interview The Browders, Michael English, The Isaacs, or Three Bridges contact AG Publicity at info@agpublicity.com .